Position: Guitar, banjo, cello, base, etc. Superlative: Most sincere, most sarcastic. Mike Meadows was born on April the 1st. He comes from Danville, Virginia. He has played music for as long as he can remember. He started playing guitar at the age of 8, and started singing shortly thereafter. He used guitar as a gateway to other instruments and eventually earned a Bachelors Degree in Cello Performance from James Madison University. He went on to play bass and sing bvox for Pat McGee Band before he started his gig of playing guitar, mandolin, harmonica, and singing bvox for Lyric Street Recording artist Josh Gracin. He’s a songwriter / performer / producer /cellist / guitarist / bassist / singer. He’s currently working on a way to play all those things at the same time, but he can’t seem to make it not look like he’s trying too hard. 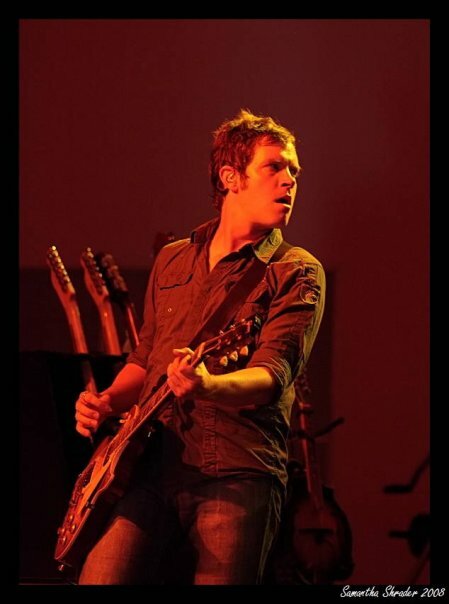 He’s been playing for Josh Gracin (Lyric Street Records), Pat McGee Band (Warner Bros.), MoneyPenny and Tailgate South. He joined the Agency for Taylor Swift’s Fearless tour. He is married to Brittany Milton.